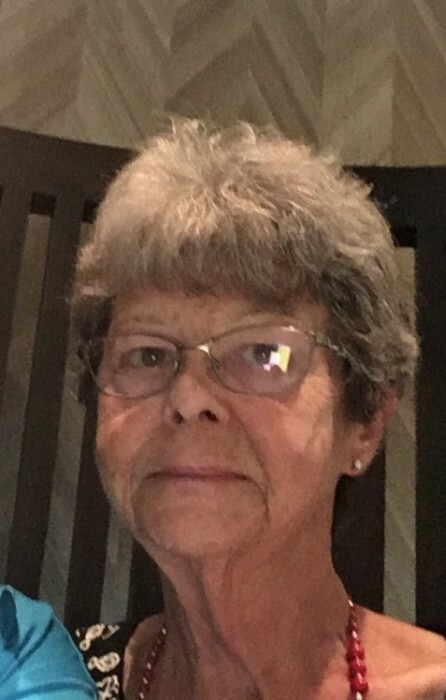 Obituary for Marilyn Marie (Williams) Rossi | Esterdahl Mortuary and Crematory, Ltd.
Mrs. Marilyn Marie Rossi, age 76, of Murray, Kentucky passed peacefully with her family at her side on Sunday, March 31, 2019, at the Ray and Kay Eckstein Hospice House in Paducah, Kentucky. Visitation will be held from 2-5 p.m., Saturday, April 6, 2019, at Kirk, Huggins & Esterdahl Funeral Home, Ltd., Orion. Cremation rites will take place following visitation. Expressions of sympathy may be made to the Alzheimer’s Association, PO Box 96011, Washington, D.C. 20090-6011. Marilyn was born on August 28, 1942, in Moline, Illinois to the late David Williams and Velda McFarland Williams. She was retired from Rock Island Arsenal as a Budget Analyst and was a member of the First United Methodist Church in Murray. She enjoyed golfing, reading, gardening, was an avid Murray State Racer Basketball fan, and loved her grandchildren. In addition to her parents Marilyn is preceded in death by one sister, Linda Eskew; and one brother, Johnny Williams. Survivors include her husband of 58 years, Joe Rossi, to whom she married on July 16, 1960, in Andover, Illinois; three daughters, Angela Roberts and husband Matt of Falcon, Colorado, Kim Richardson and husband Mike of Murfreesboro, Tennessee, and Lisa Rossi of Murray, Kentucky; one son, Joe Rossi and wife Jennifer of Hillsdale, Illinois; two sisters, Sherry Johnson of Mount Juliet, Tennessee and Donna Rapp of Cambridge, Illinois; eighteen grandchildren, Mandy, Lucas, Amber, Emily, Joshua, Catherine, Matthew, Eric, Tara, Jodi, Michael, Heather, Allison, Kaitlin, Nathan, Benjamin, Daniel, and Rachel; sixteen great-grandchildren, Karley, Conner, Elijah, Josie, Seth, Zachary, Abby, Payton, Jackson, Lorelei, Brady, Drew, C.J., Edea, Asha, and Ella; and special friend, Barkley.